Product #17540 | SKU BOTTLE CAPSULE B6 | 0.0 (no ratings yet) Thanks for your rating! 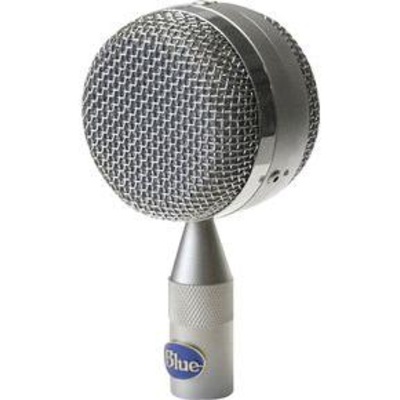 The Blue B6 Bottle Cap is an interchangeable capsule for Blue Bottle and Bottle Rocket studio microphones. It has a large-diaphragm, gold-sputtered film capsule with a dual-backplate design. It features a frequency response suitable for vocal and general instrument capturing. Blue describes its sound characteristics as smooth, robust, and "larger than life" with enhanced lows and highs. Its cardioid polar pattern effectively reduces off-axis ambient noise and feedback. The B6 is easy to instal and rugged enough for life in the studio.